Kids love New MagicFil, a wonderful new filling material that comes in colors that kids like such as Ocean Blue, Wild Berry, Sunny Yellow, or Cool White Universal - with a generous sprinkling of sparkle without all the color. 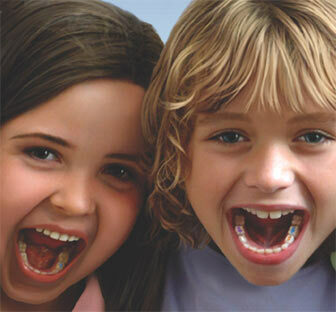 Parents love New MagicFil because it involves kids in their own dental treatment. Giving your children a choice of filling colors can also give them a greater sense of control. This may help to reduce anxiety as it puts colorful fun into the dental process. Specifically designed for "baby" teeth, MagicFil works like magic! It is ideal for filling cavities now and releases fluoride to help keep decay from returning later. MagicFil effectively fills cavities, helping to maintain your child's oral health and your peace of mind. Your kids will love the colors and you will love how it works! Is MagicFil a serious dental material? Yes, don't let the sparkles and colors fool you! MagicFil effectively fills the cavities your kids have now and slowly releases fluoride to help prevent future cavities. Will MagicFil work as well as the other filling materials my dentist has always used? Yes. MagicFil is as effective as any other filling material that your dentist can use. Is it just as easy to get my child's teeth filled with MagicFil as it is with any other filling material? Yes. 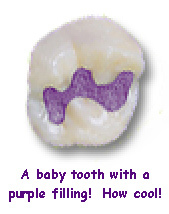 MagicFil makes the filling process quick and easy for your dentist and your child. Yes. MagicFil is a stable, durable material whose colors and sparkles will not fade, run or discolor over time.